Tax refunds from the first filing week of 2019 are down an average of 8.4% from the same period in 2018. The decrease, from $ 2,035 down to $ 1,865, is considered by some experts to be an early predictor of what may be ahead in the coming weeks. 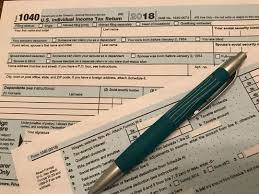 The IRS also received fewer returns in the first week of February 2019 than in the same period in 2018, and processed fewer returns as well.